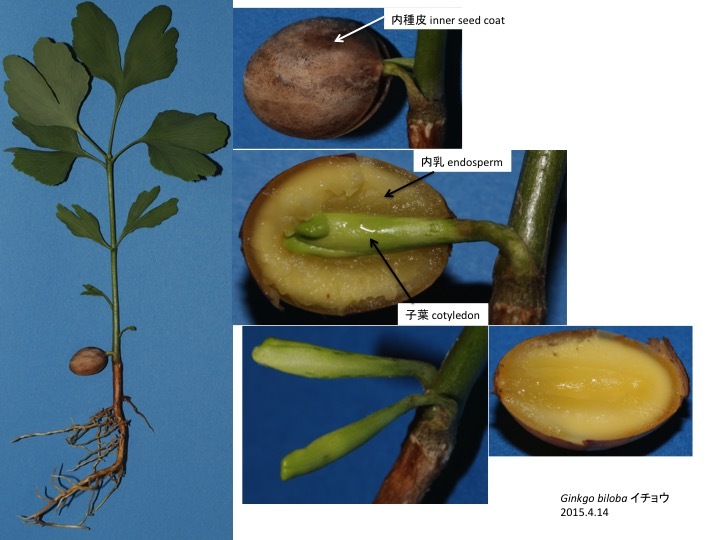 Endosperm of Ginkgo is a gametophyte tissue and retained in a seed with cotyledon even after germination. Cotyledons absorb nutrients from endosperm, indicating that cotyledon should have absorption system including traonsporters. Evolution of absorption system in carnivorous plants has not been well studied and similar mechanism to Ginkgo cotyledon may be used.